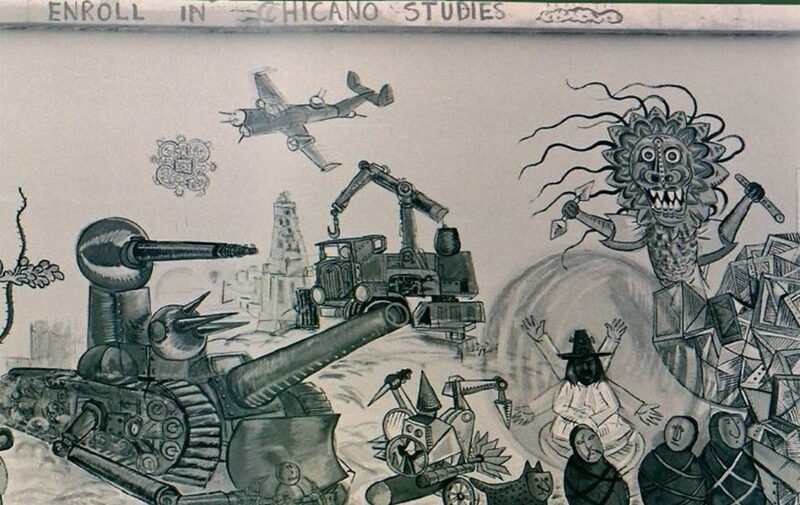 “Enroll in Chicano Studies”: Roberto Chavez’s 1970s Mural at East Los Angeles College – ¡Murales Rebeldes! 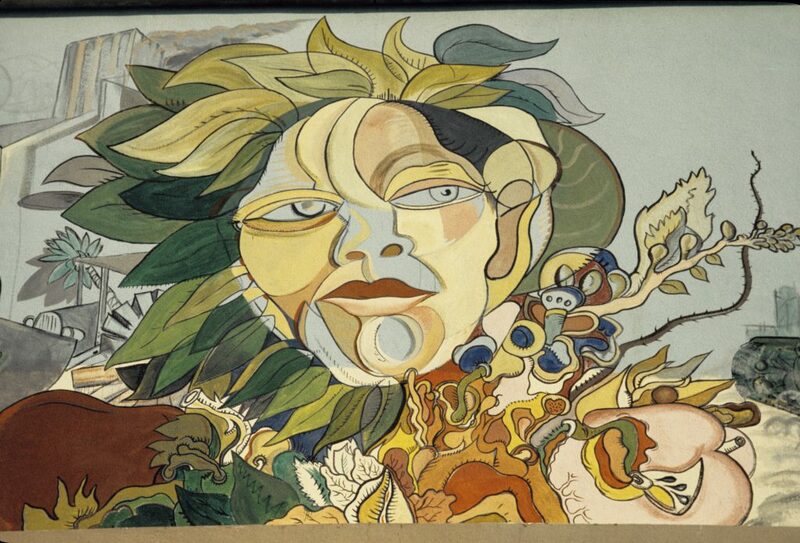 Mural detail, The Path to Knowledge and the False University, c. 1974–1975. Private collection; photo: Manuel Delgadillo. 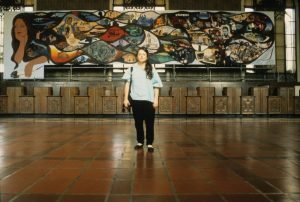 There was new hope in 1974 for Chicana/o students at East Los Angeles College (ELAC), which had served the Mexican American community since its post-World War II beginnings in 1945. The college had a burgeoning Mexican American Studies Department, a hard-fought achievement brought about by the Chicana/o education movement of the late 1960s and early 1970s. The department’s goals were about to be illustrated—literally—through the production of a new mural on campus. ELAC students were leaders in this movement. In 1967, they had established the Mexican American Student Association (MASA), promoting tutoring and speaker panel programs to address severe higher-education inequalities. MASA inspired other colleges; by the end of the year the student movement had spread throughout California. In mid-May 1967, the organization merged with United Mexican American Students and in 1969 was absorbed into the Movimiento Estudantil Chicano de Aztlán. 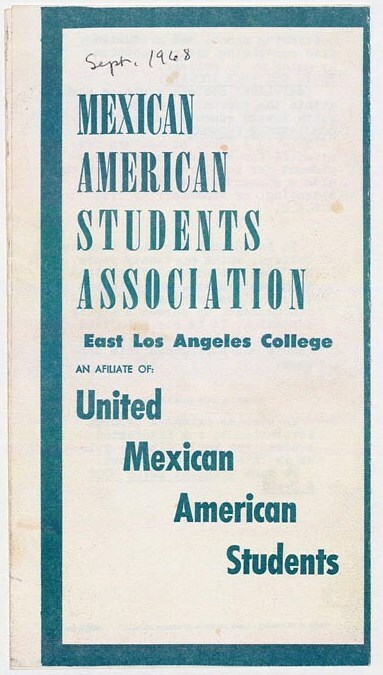 MASA Brochure, East Los Angeles College, 1968. Courtesy UCLA, Library Special Collections, Charles E. Young Research Library. Simultaneously, resentment was brewing in the city’s eastside public schools, whose junior high and high school students staged riots (“blowouts”) to protest corporal punishment, high dropout rates, low college attendance, lack of Mexican American teachers and staff and classes in Mexican American history, and other grievances. About 10,000 students to walk out of their schools during the first two weeks of March 1968. 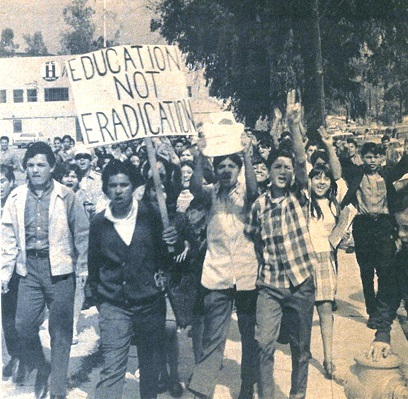 “Education Not Eradication,” East Los Angeles High School Blowouts, March 1968. Courtesy https://www.laprogressive.com/east-la-chicano-movement/. The Path to Knowledge and the False University, c. 1975. Private Collection; photo: Manuel Delgadillo. 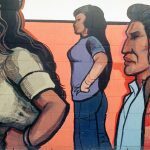 In 1974, ELAC had an opportunity to merge its educational goals for Chicana/o students with those of the Chicana/o Mural Movement, a critical component of the larger Chicano Movement. 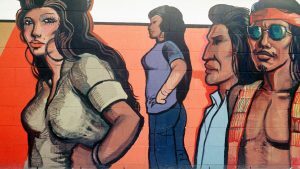 In that year, Roberto Chavez, an art instructor for twelve years and chair of the college’s new Mexican American Studies Department, was awarded a $3,500 Instructional Development Grant on Mural Painting to teach a class in the step-by-step process of mural making. 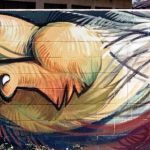 In September, as the fall semester began, he embarked on creating an enormous mural on the facade of Rosco C. Ingalls Auditorium. 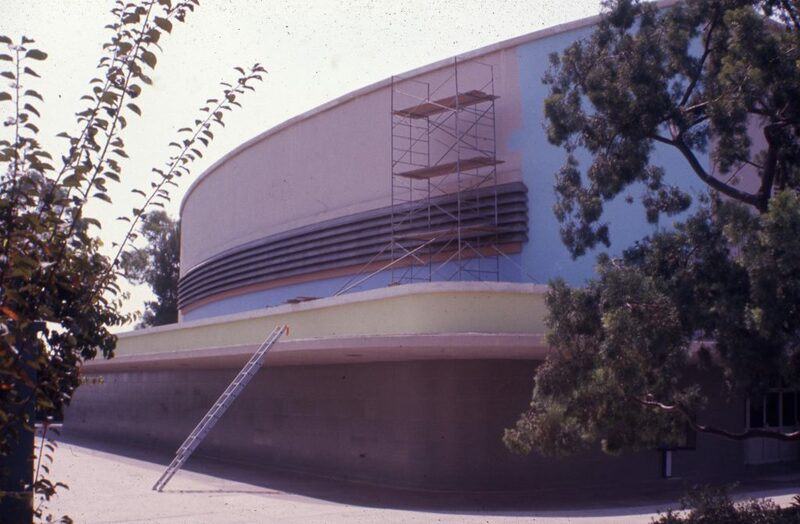 Blue paint background and scaffold, The Path to Knowledge and the False University, c. 1974. Private collection; courtesy of Anatol Chavez. Surprisingly, the auditorium, built in 1951, was one of only two new buildings—along with a sports stadium—that were constructed on campus after the college moved from its original location at Garfield High School. An impressive structure, the auditorium must have been quite an anomaly alongside the nearly fifty hand-me-down wooden barracks from the Santa Ana Army Air Base that had been donated to the junior college and that in early 1948 accompanied the students to ELAC’s new location at Atlantic and Brooklyn (now Cesar Chavez) Avenues to house classrooms and other programs. 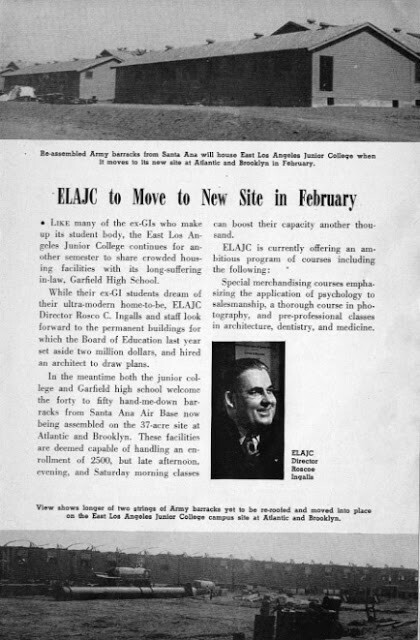 “ELAJC to Move to New Site in February,” Los Angeles School Journal, September 22, 1947. Courtesy of the Seaver Center. All the more significant, then, that Ingalls Auditorium became the site of Chavez’s mural, The Path to Knowledge and the False University. It was, perhaps, a nod to the growing Chicana/o student population and a way to integrate them into the college’s overall mission. 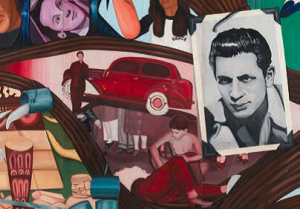 he huge, smooth expanse of the auditorium’s west facade allowed Chavez to paint a mural 30 feet high by 200 feet long—his largest public work and at the time the largest painted in East Los Angeles. 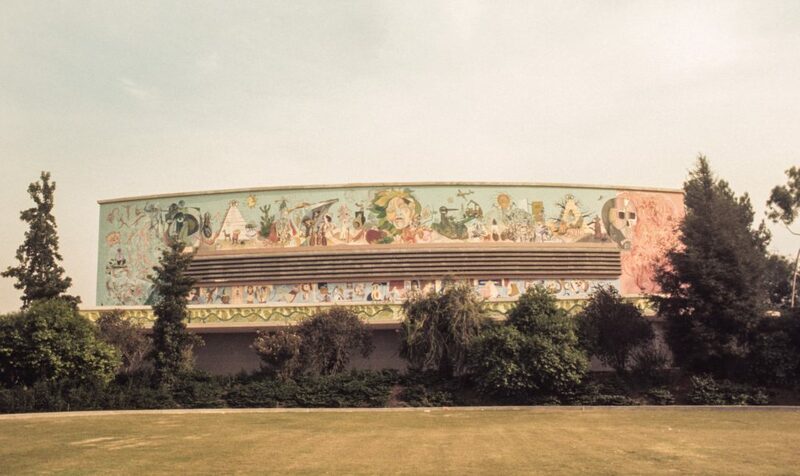 The mural dominated the landscape, sometimes serving as a backdrop to community and student events. 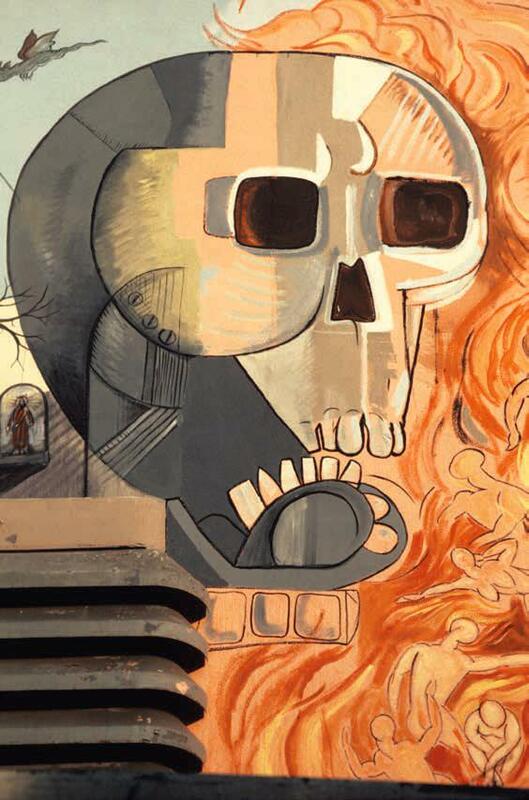 Mural detail, The Path to Knowledge and the False University, 1974. Photo copyright © 1974 by Oscar R. Castillo. 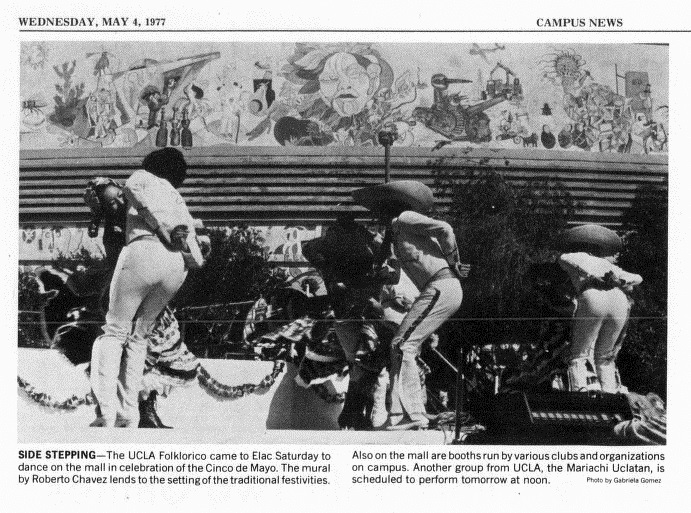 Cinco de Mayo Celebration, East Los Angeles College Campus News, May 4, 1977. Private Collection. 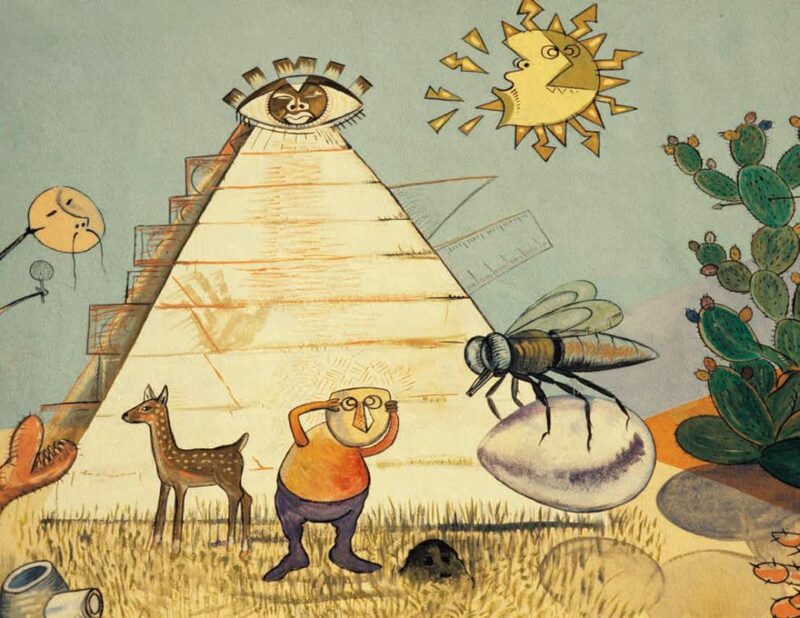 Mural details, The Path to Knowledge and the False University, c. 1975. Courtesy UCLA Chicano Studies Research Center. Los Angeles Times Clipping, October 14, 1979. Copyright © 1979, Los Angeles Times; photo: Jack Birkinshaw. ELAC’s administration offered a simpler explanation. The auditorium, it claimed, required repairs. 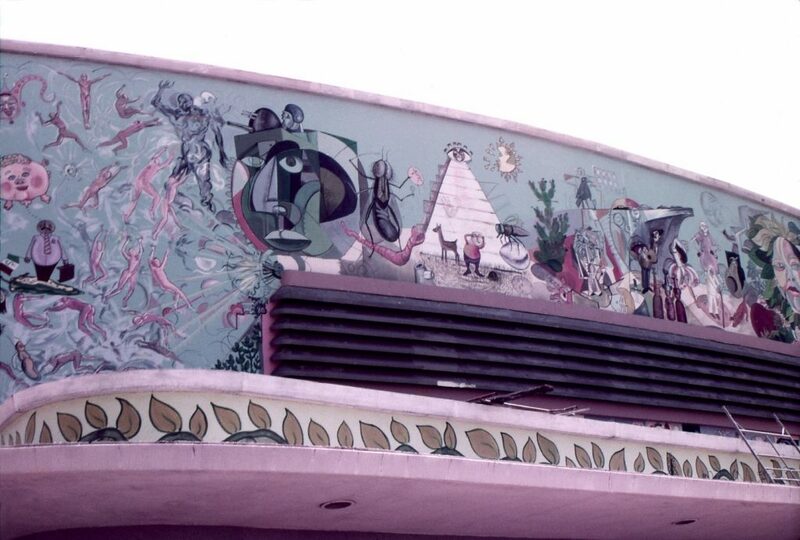 However, the wall containing the mural was the only one restored. And what of Chavez? 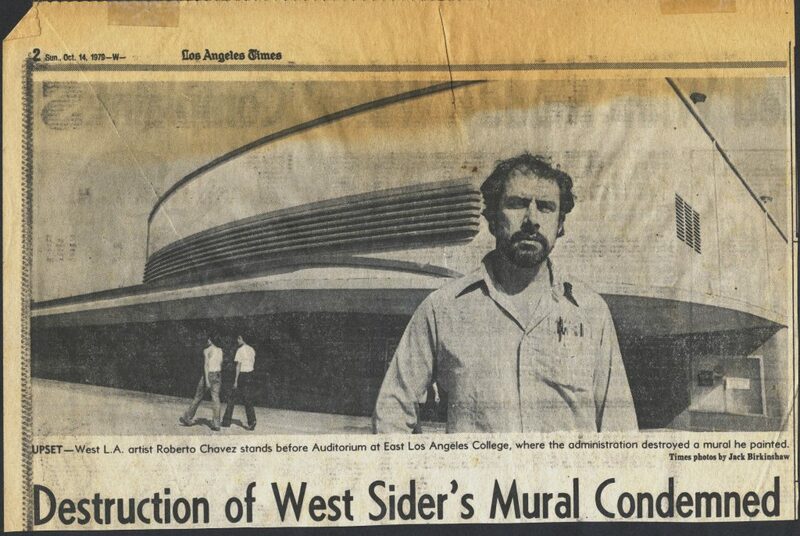 In 1980, he left the Chicana/o studies department and a year later resigned from ELAC. 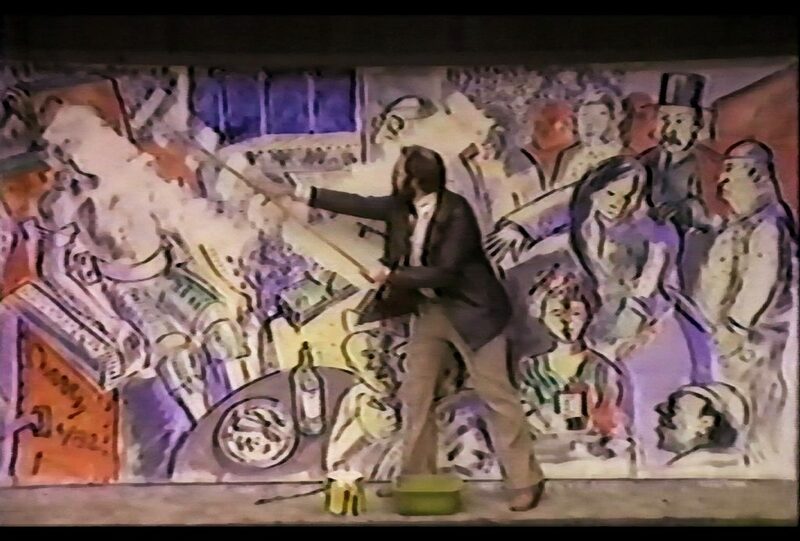 In 1982, he and videographer Jeff Boice produced The Execution, the artist’s response to the devastation and despair he felt upon his mural’s destruction. 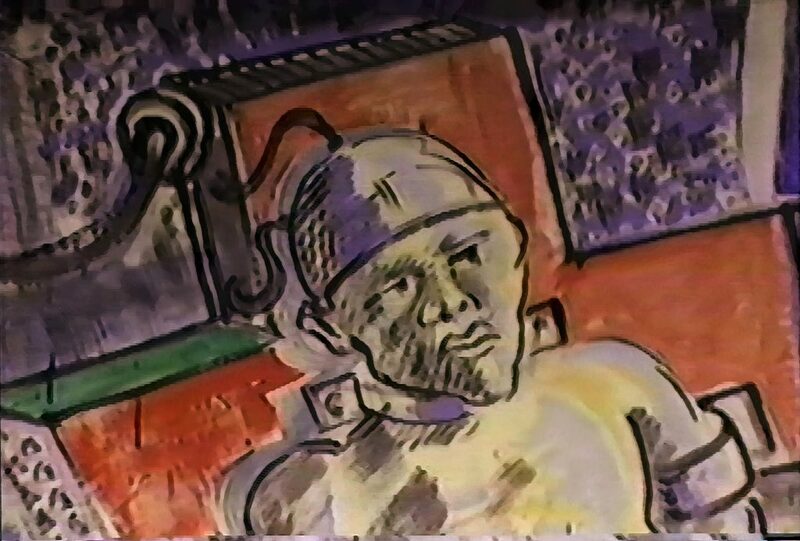 Stills of execution and whitewashing scenes, The Execution, 1982. Courtesy Jeff Boice and Roberto Chavez.